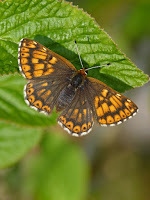 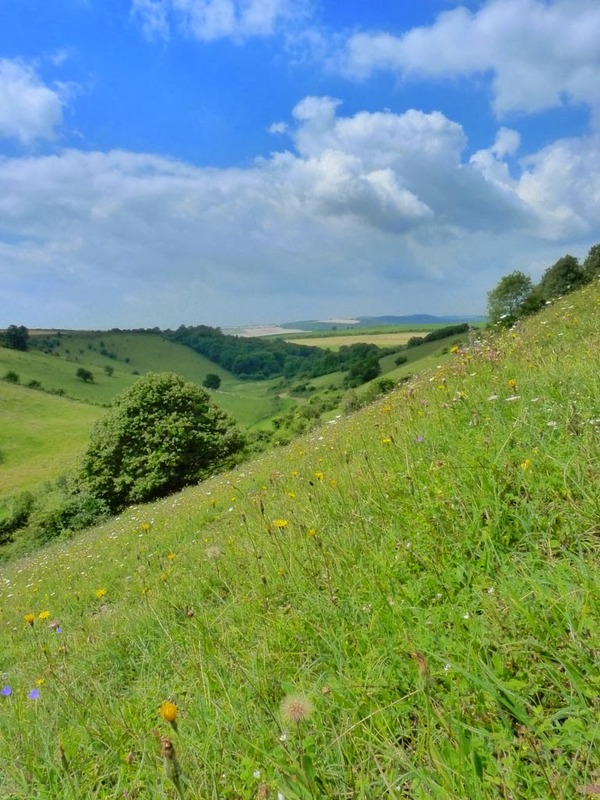 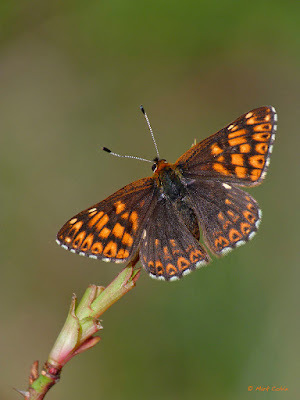 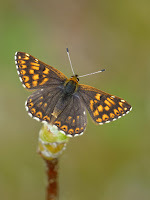 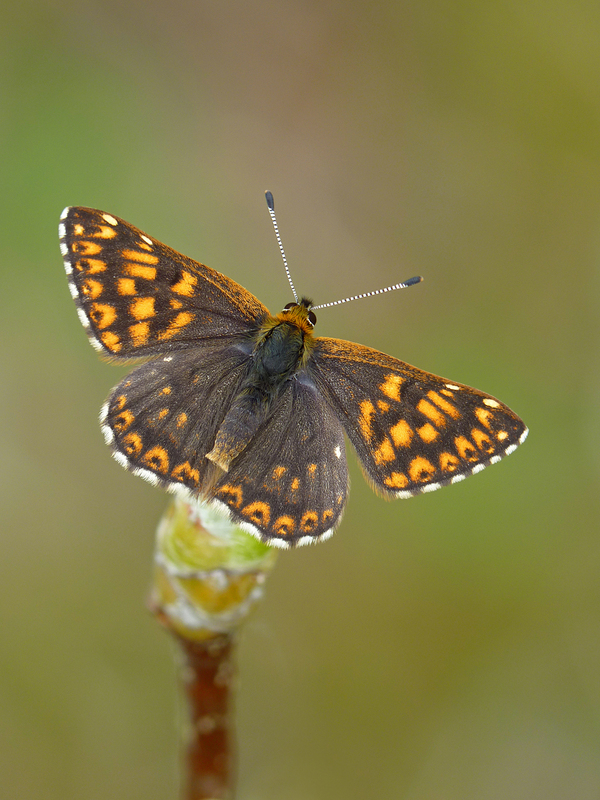 An afternoon visit (23 April) to Murray Downland Trust's fabulous Heyshott Escarpment reserve was conducted under almost complete cloud cover, with only a couple of five minute bursts of sunshine being just sufficient to encourage a couple of Duke of Burgundy to open their wings. 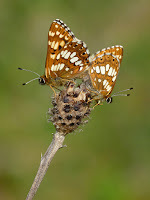 No other species of butterfly were seen, but I still managed to locate 18 Dukes at rest on low scrub, including two mating pairs. 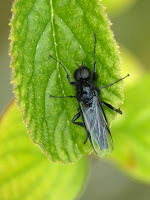 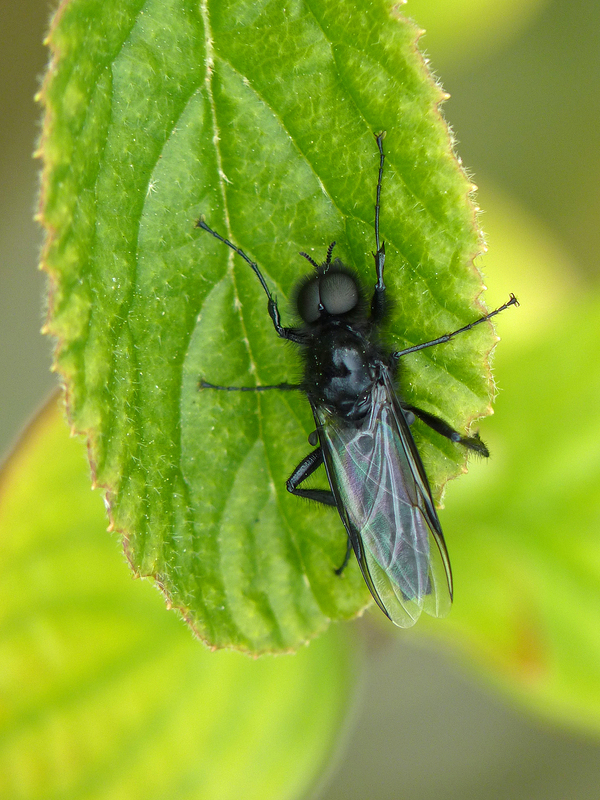 I suspect that they've been out for a while here, as St Mark's Fly was everywhere, and the emergence of this species is closely coordinated with the appearance of the first Dukes. To find so many, so easily, does suggest that the Duke of Burgundy is going to have another good season.